Please note these store policies and delivery charges only apply to items ordered online via the checkout on this site. We encourage you to feel comfortable using your credit card on our site. If you wish, you may also send us a cheque, but this will delay your order as we must wait for your funds to clear before we ship any merchandise. Orders placed online can be delivered to most uk mainland destinations for our standard delivery charge of £9.95 + vat per order. If your area is not listed or you require special urgent delivery then extra charges will need to be added to your order and in such cases please telephone to enquire what charges apply. All calculated charges are shown at checkout before submitting your order. 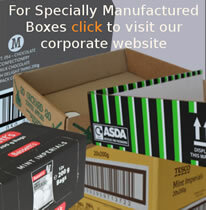 Normal delivery in stock items are usually shipped within 24 hours of receipt of your order. Goods are delivered by our carriers and are usually delivered within 72 hours. Prices shown are only applicable to orders placed via the internet. Goods are charged at the price shown on the product pages on the date the customer places the order and are net of VAT. VAT is added and is shown at checkout and on the invoice which can be printed from our website after the goods have been shipped (from customer login/review order history). Prices are correct at the time of publication. Errors and omissions are excepted. Orders will be processed at our published prices, otherwise, in the case of any unexpected change in price, you will be informed and asked if you wish to reconsider your order before proceeding. All goods supplied will remain the property of the seller until such time as they are paid for in full. The seller reserves the right to sell or dispose of any goods manufactured for customers that are rejected for any reason and/or not paid for in full unless specifically agreed otherwise by the seller in writing prior to manufacture. If goods are faulty or damaged you should inform us within seven days of receipt. You may return them to us unused in their original packing for replacement or a refund providing you have received a "Jaffabox Ltd return authorisation number". Complaints or claims will only be entertained if lodged by the buyer within seven days of receipt of goods by him, or if related to the transport of the goods within such time as will enable the seller to comply with the time limit and procedure of the carrier by whom the goods were transported. The return of goods will not be accepted unless the seller or his representative shall first have had the opportunity of examining same. No goods will be accepted for credit after 7 days from the original date of supply.Goods that have been specifically manufactured to the Buyers specifications cannot be accepted for credit. No goods can be returned to the Seller without the Sellers prior consent and having received a “Jaffabox Ltd Return Authorisation Number”. No goods can be accepted for credit unless returned in perfect condition, packed in original wrappers and accompanied with a completed “Jaffabox Returns Note” quoting the “Jaffabox Ltd Return Authorisation Number”. The Buyer will pay all shipping costs and a 20% handling charge to the Seller on all items returned. The Buyer shall not be able to cancel any order either written or verbal, except where the Seller is able to also cancel any corresponding order with its supplier. In such a case the Buyer shall indemnify the Seller for any loss suffered by the Seller and its agreed without prejudice to the foregoing that this loss shall be equal to at least 15% of the price that would have been payable by the Buyer had the order been fullfilled. If we receive a complaint about any part of our service, by phone,fax,e-mail or letter,then it will be dealt with promptly (we will reply within 5 working days).